Dudley High School students have big dreams and the Advanced Vehicle Technology (AVT) team is helping them learn the skills to get them there. “This is career application, not just a grade on a paper,” says Rick Lewis, the AVT team’s advisor. 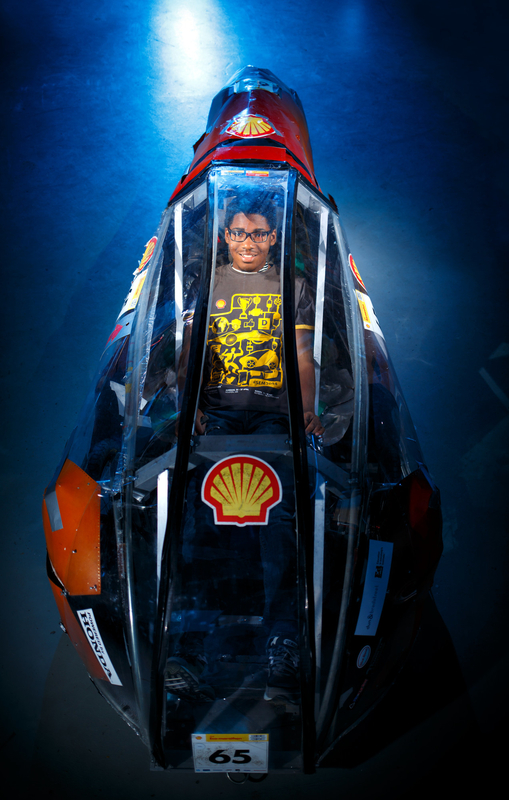 Dudley High School students compete against 1,500 students from universities and high schools from around in the world in the Shell Eco-Marathon, a competition that requires students to design, build, test and drive ultra-energy-efficient vehicles. Sixteen students from the Dudley AVT team will travel to Detroit from April 22-24 to test the three cars they have been building all year. Dudley’s AVT team is learning how to use cutting-edge technology as well as soft skills they can apply to their future careers, like problem solving and collaboration. “We want kids to be thinkers, doers and innovators,” Rick says. 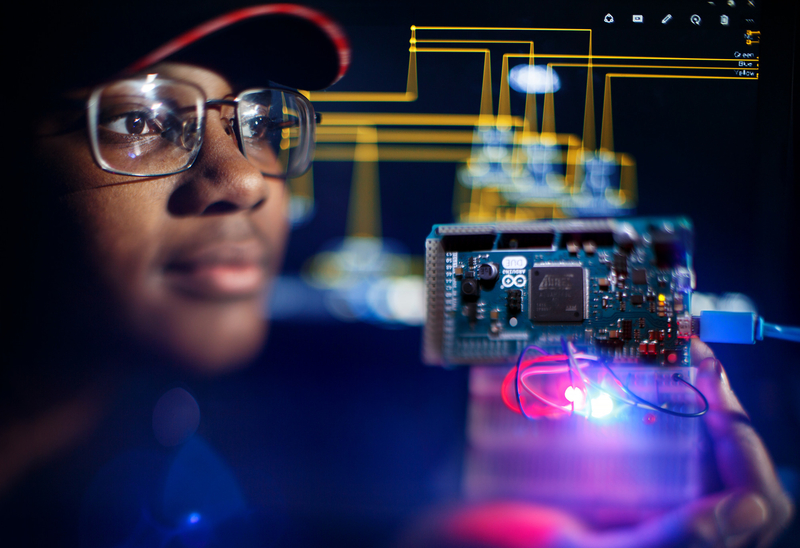 Yasmin Bradshaw, 17, the team’s electrical engineer, dreams of becoming a surgeon. Yasmin wrote the program that operates the car’s controller. “I’m working with technology that is small, so it’s kind of like surgery,” Yasmin says. 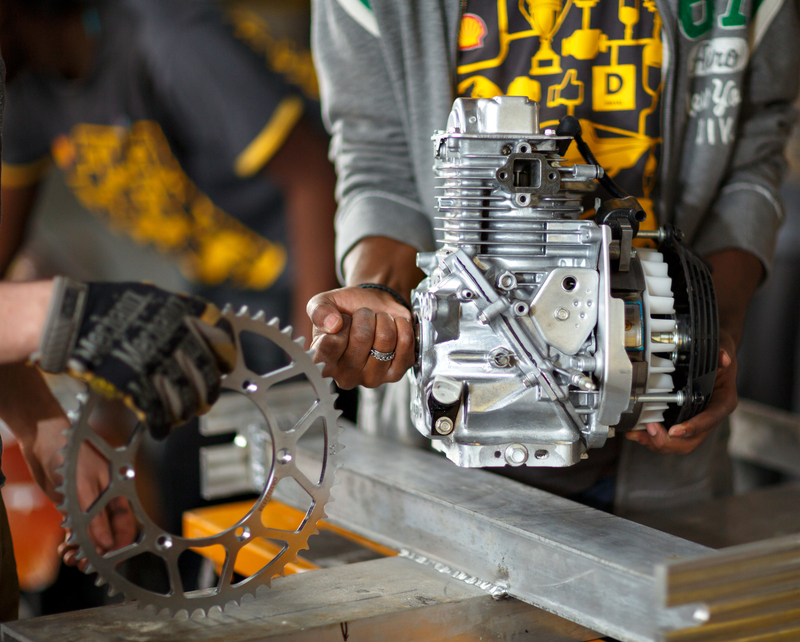 While students have experts in the technology and engineering field guiding them, most of them are self-learning by trial and error. As the team’s designers, Justin Williams, 15 and Joshua Hill, 15, create parts for the team’s cars using a 3D printer. Both would like to one day use the skills they’ve learned on the AVT team to become professional engineers. “It’s always been a dream of mine to do anything in the engineering field,” Justin says.